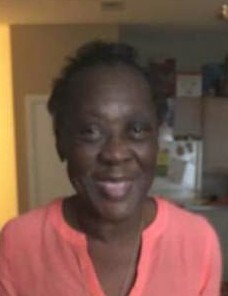 Mrs. Rebecca McKoy, 76, of 134 Mt. Olive Church Rd, Elizabethtown, NC, died April 10, 2018 at Willow Ridge Assisted Living in Charlotte, NC. She is survived by: daughter, Shephanie Radwill of Elizabethtown, NC, granddaughter, Aaliya Bettis of Smithfield, NC and brothers, Robert McKoy of Elizabethtown, NC and Foster McKoy of SC.